Kiev Rotary Club is a non-profitable voluntary organization of entrepreneurs and , united by the idea of public service aimed to make the society better. 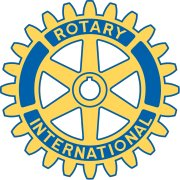 All Rotarians have excellent business and professional reputation and are leaders in different fields of activity. Rotary movement in Ukraine started in 1992 and now there are 40 rotary clubs in Ukraine.